This week started out on a somber note with the 16th anniversary of 9/11. I really wanted to pay my respects and see the Pentagon Memorial, and opted to wait until Tuesday, so as not to have any unruly children interfere with families observing the day with their loved ones. 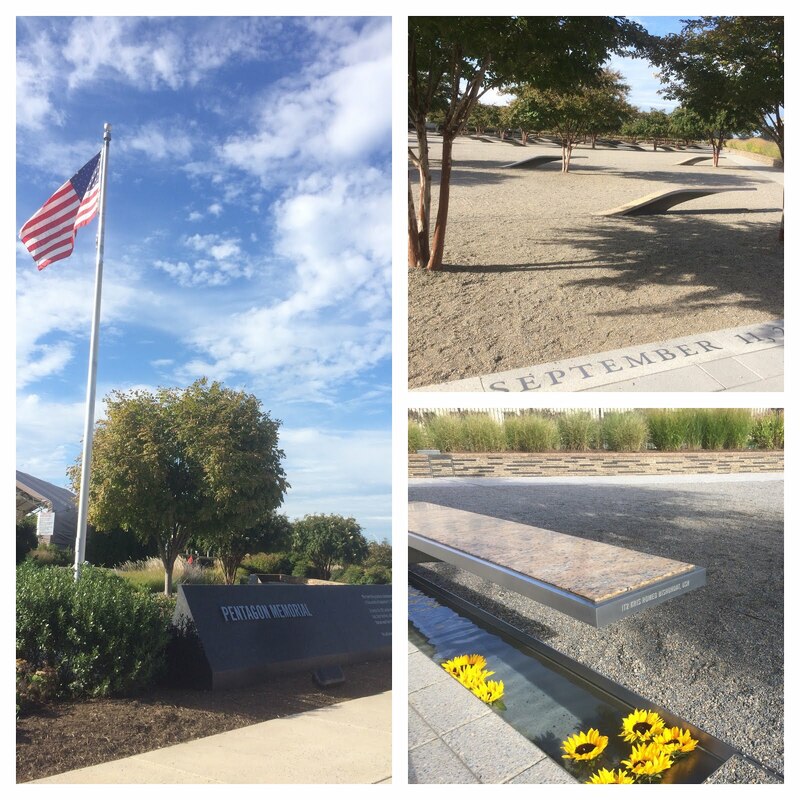 The Pentagon Memorial offers visitors the ability to dial into a recording while walking through, describing the memorial and events of the day. I had never really considered the thought and ideas that go into designing something so emotionally charged. The details were beautiful and thoughtful. Each person who died, whether on the flight or in the Pentagon, has a bench with fountain underneath. The benches face different ways (looking at the sky, or looking at the building) depending on where the victim was. They are ordered by birth year too, so some rows have significantly more memorial benches than others, including one for the youngest victim, a three-year-old girl who was on board the flight with her family. I'm really glad that I was able to go and walk among a beautifully designed space, truly honoring those lives lost tragically too soon. The gardens themselves were breathtaking. 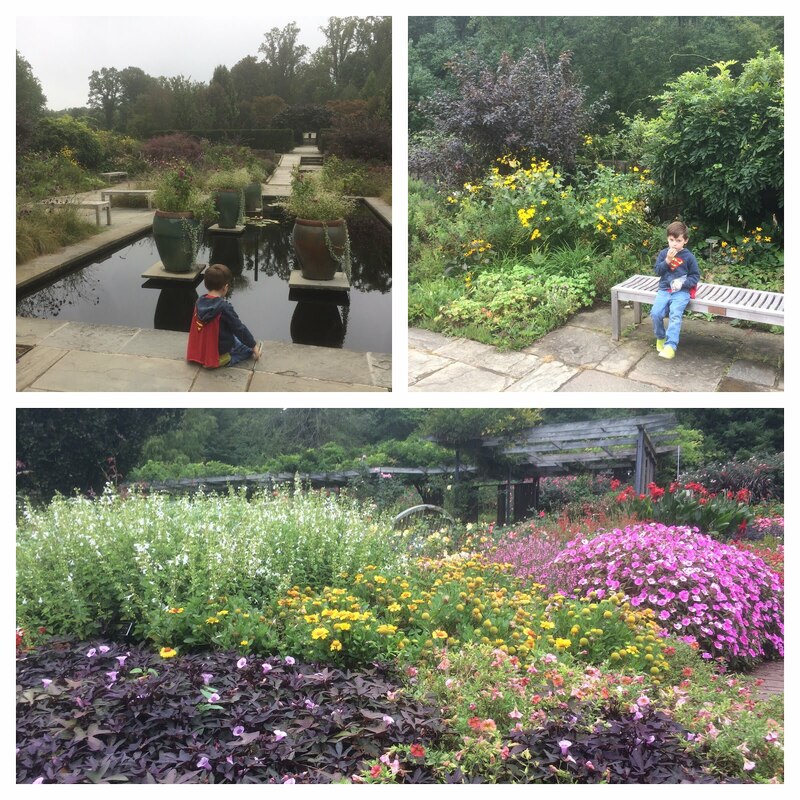 I haven't had the best luck with flowers or planting much of anything, but I can really appreciate the varieties of flowers and plants when they are thoughtfully arranged at a place like this. It was like a spread in "Sunset" come to life. 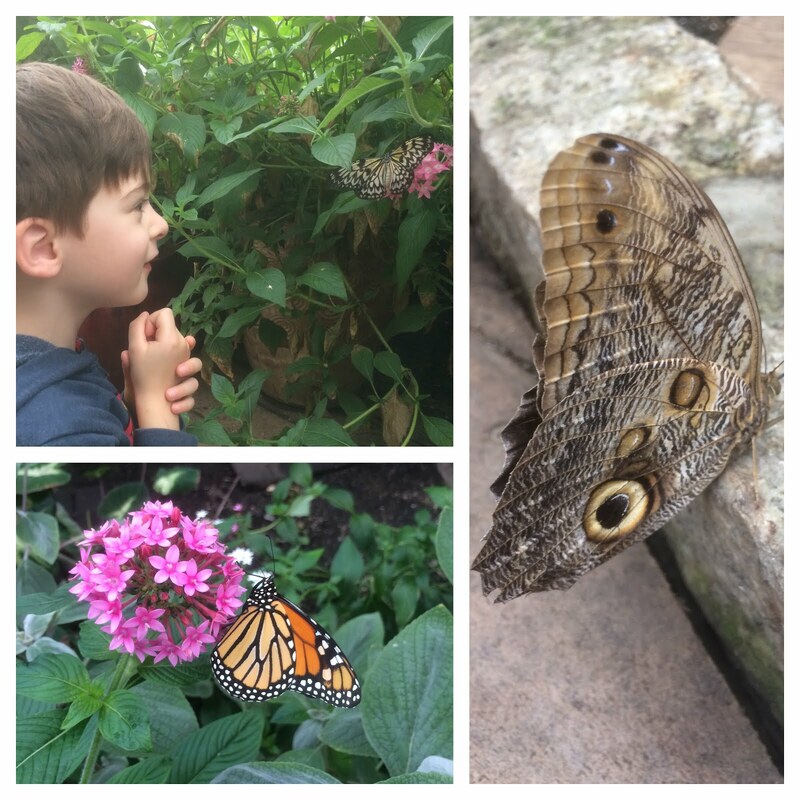 We ate lunch in the garden and spotted chipmunks, honey bees, and more butterflies doing their thing. 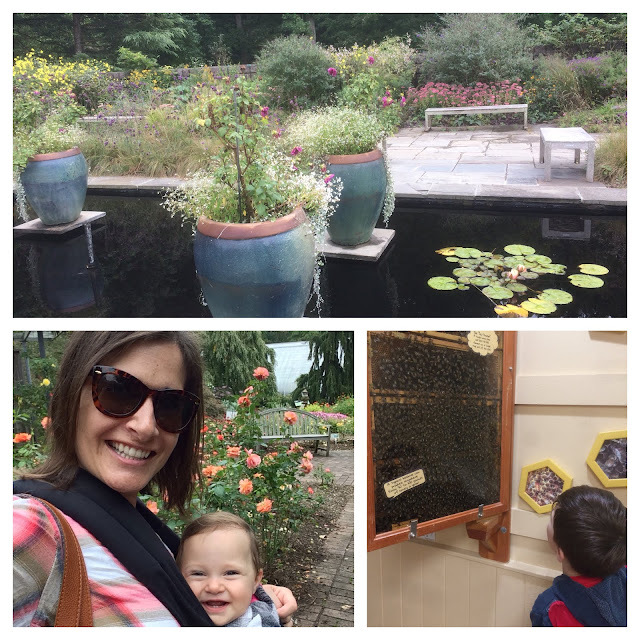 The gardens also have a really great Nature Center where Henry was able to see the cross section of a bee hive, find a wolf spider, and see other reptilian creatures. On our walk there, we also spotted three more chipmunks. They always seem like elusive critters to me, so to see so many was surprising. It's also a reminder of how while we are in the city, we are so close to the woods and being able to experience that is something I won't forget. 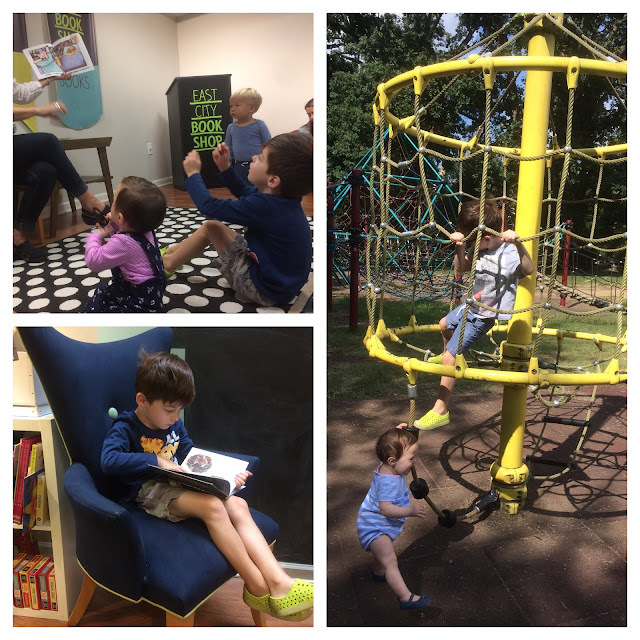 This week we also had a storytime playdate at our favorite book shop, and visited a park we hadn't been too since last winter. I still can't believe we're coming up on a year here and that Henry will be four next week. I know everyone says it but man, life goes quickly and I feel so fortunate to live the one I do.